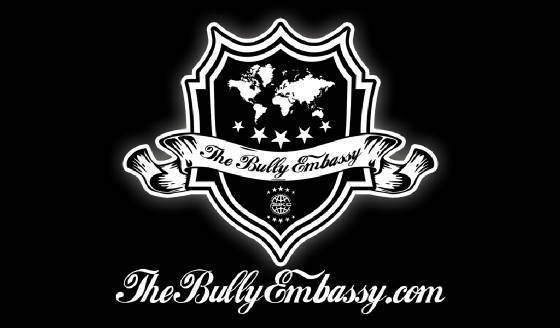 The Bully Embassy is a group of elite kennels who promote and support the bull breeds we love. We are experienced owners, breeders and handlers from around the world joined together by our love of the sport and compassion for the breed. Each member of The Bully Embassy has a resume of outstanding achievements and accomplishments. We travel together, promote each other and carry our self with the upmost respect. We make our presence known at shows. Our dogs and kennels speak for themself. The Bully Embassy would like to welcome our NEWEST Addition to the family. All the way from Australia, Suzette Lee Turner - The Empire King Bulliez. Welcome!